Don’t retune your sets! 2016 Audi A4 has been revealed in two body styles – wagon and sedan, with the automaker claiming that it symbolizes a fascinating synthesis of aesthetics and technology, a vehicle, which defines the benchmark in its class. 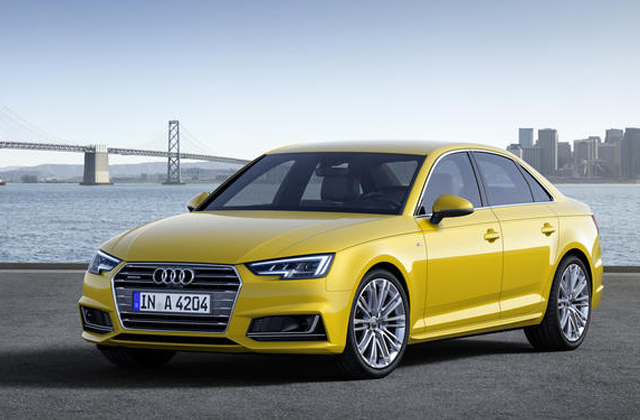 In spite of not looking dramatically different to the previous model, the all-new A4 has been fully redesigned to be more high tech, safer and efficient unlike its predecessors. Not to forget, it will compete with the likes of Jaguar XE, Infiniti Q50, Lexus IS, BMW 3 Series and Mercedes Benz C-Class. Riding on 2820mm wheelbase and measuring 4726mm long, the 2016 Audi A4 gets a new body, making it the best midsize luxury car in the segment. On the other hand, the station wagon sits 7mm higher and is 1mm shorter. In terms of styling, the automaker claims it has bold horizontal lines running across the rear and front of the vehicle, highlighting the new width, Matrix LED and optional LED headlamps and signature single frame grille. So, it’s lighter, sleeker and bigger! 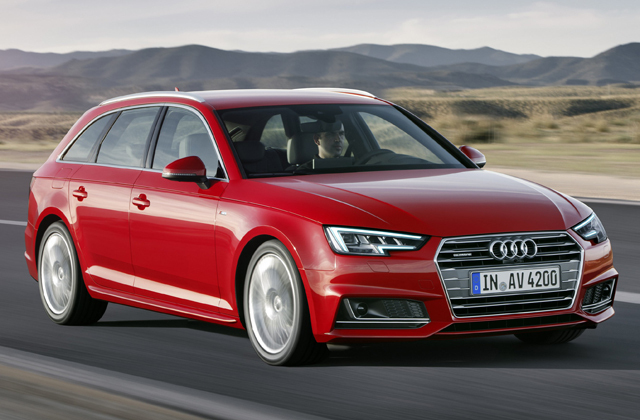 Coming to the engine – the 2016 Audi A4 range comprises 4 and 6-cylinder powerplants with 7 to choose from when the vehicle launches in Germany: four diesel and three petrol with front wheel drive system. The petrol 1.4 TFSI engine churns out 110kW of power with 250 newton meters of torque, while the 2.0 TFSI is offered in two versions: standard one generates 185kW of power and 370 newton meters of torque; the Ultra one produces 140kW of power with 320 newton meters of torque. On the diesel side, you will get two different versions: 2.0 TDI that’s good for producing 140kW of power with 400 newton meters of torque and low output 2.0TDI for 110kW of power and 320 newton meters of torque. The top-of-the-line 3.0TDI Quattro model equipped with S Tronic is the performance king, churning out 200kW of power with earth-shattering 600 newton meters of torque. The A4 will be available in three transmission choices – six-speed manual, S-Tronic seven-speed and Tiptronic eight-speed gearbox. The S-Tronic seven-speed will be offered on front-wheel drive trims, whereas Audi will continue to offer its optional Quattro four-wheel drive system. According to Audi, the all-new A4 will drive better than before because of its new electromechanical steering system and five redesigned link axles. The interior of 2016 Audi A4 sees a lot of changes with 12.3 inch screen and 8.3 inch on dashboard top. You will also find areas of color ambient lighting inside with Audi Phone Box with wireless charging. How can we forget about safety? Well, a lot of features have been added to the list; including Stop&Go Adaptive Cruise Control that has jam assist system; camera-based speed recognition system, lane keeping assist, collision avoidance with automatic braking, rear cross traffic alert and semi automated parking. While everything is on the table, expect pricing to be revealed soon!